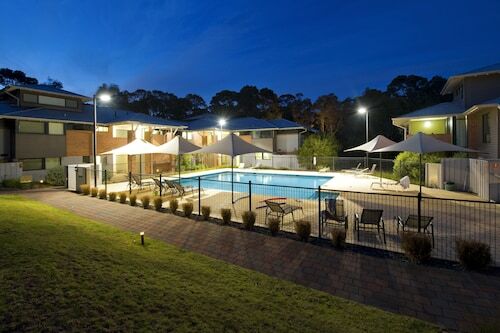 This family-friendly Margaret River motel is located in a rural location, within 1 mi (2 km) of Gloucester Park, Jahroc Galleries, and Margaret River Vistors Centre. Brewhouse Margaret River and Xanadu Winery are also within 2 mi (3 km). 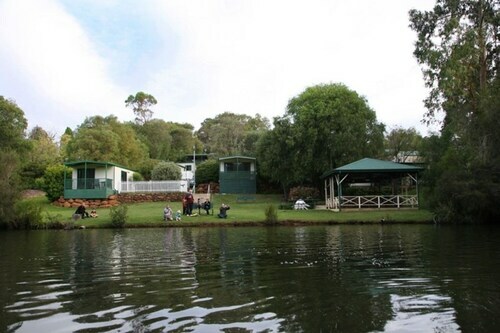 Located in the heart of Margaret River, this campground is within 1 mi (2 km) of Margaret River Vistors Centre, Jahroc Galleries, and Brewhouse Margaret River. Gloucester Park and Stella Bella Wines are also within 3 mi (5 km). 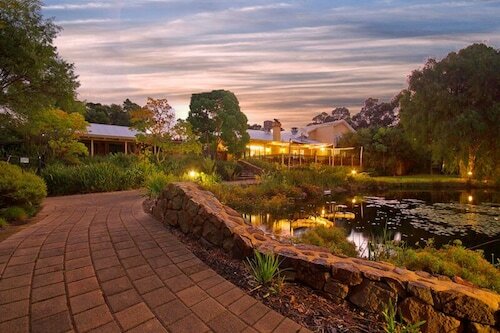 Situated in Margaret River, this golf motel is within a 5-minute walk of Jahroc Galleries and Margaret River Vistors Centre. Brewhouse Margaret River and Gloucester Park are also within 1 mi (2 km). Situated in a shopping district, this motel is within a 10-minute walk of Gloucester Park, Margaret River Vistors Centre, and Jahroc Galleries. Brewhouse Margaret River and Xanadu Winery are also within 3 mi (5 km). Located in the heart of Margaret River, this luxury apartment building is within a 5-minute walk of Margaret River Vistors Centre and Jahroc Galleries. Brewhouse Margaret River and Gloucester Park are also within 15 minutes. 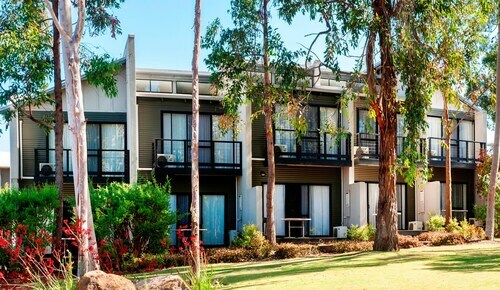 Situated in Margaret River, this luxury apartment building is 2.6 mi (4.1 km) from Eagles Heritage Wildlife Centre and 2.8 mi (4.5 km) from Margaret River Golf Club. Prevelly Beach and Voyager Estate are also within 6 mi (10 km). 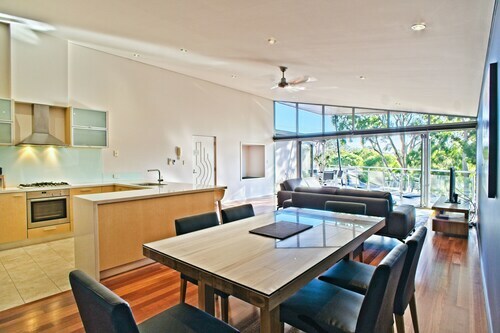 If you're hunting for a happening place to base yourself in Margaret River, you have come to the right place. When the boss isn't around, check out the 45 accommodation alternatives, all within a 10-kilometre radius of all the action. 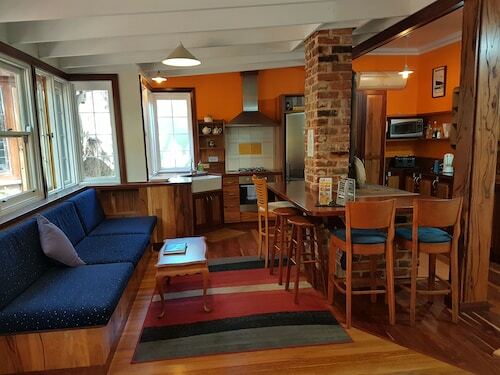 There's no need to base yourself way out on the edge of town because you'll find awesome accommodations like the Margaret House and Waterfall Cottages within a 1-kilometre radius of Margaret River's downtown. Accommodation options that are near the Gloucester Park are the Quality Inn Margaret River and Darby Park Serviced Residences. Alternatively, if the Xanadu Winery is why you are visiting Margaret River, the Margaret River Guest House and Rosewood Guesthouse are good choices. You could look at the Ellensbrook Cottages and the Caves Road Chalets. 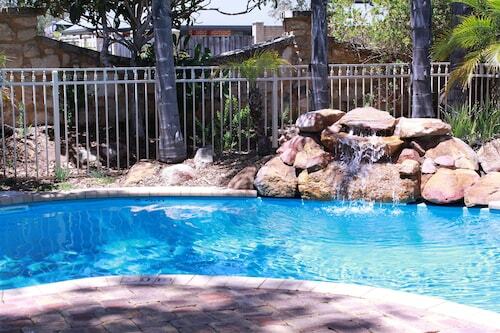 The Ellensbrook Cottages is 10 kilometres from the heart of Margaret River. The Caves Road Chalets is situated 9 kilometres away. Two other options include the Bussells Bushland Cottages and the Hilltop Studios. 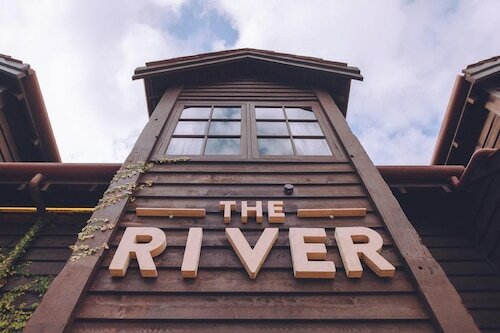 Thinking you'd like to go further afield? You're in luck! Southwest has many other things to see. Southwest is blessed with rural landscapes, along with common Southwest sights like the history museums, open-air exhibits and farms. Locals and visitors alike in this section of Australia commonly enjoy mountain biking. Looking for things to do? Spend a few hours checking out the Redgate Beach and Conto Beach, which you'll find in Redgate, 9 kilometres to the south of Margaret River. The Acacia Chalets and Surfpoint Resort are some of the accommodation options in Redgate. 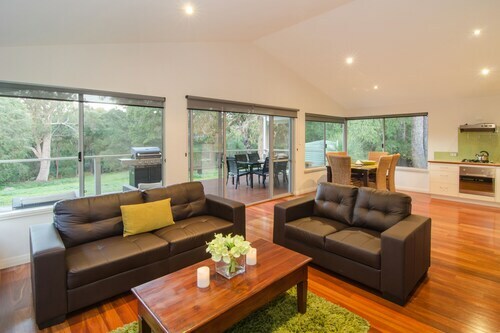 30 kilometres to the north of Margaret River, you may also choose to stay at Yallingup, which is home to the Seclusions of Yallingup and Yallingup Forest Resort. The Ngiligi Cave and Yallingup Maze are popular attractions to experience when visiting Yallingup. If you are transiting into or out of Brusselton Airport and would like to stay nearby, check out the latest deals at the Busselton Guest House or the Inn the Tuarts Guest Lodge Busselton. 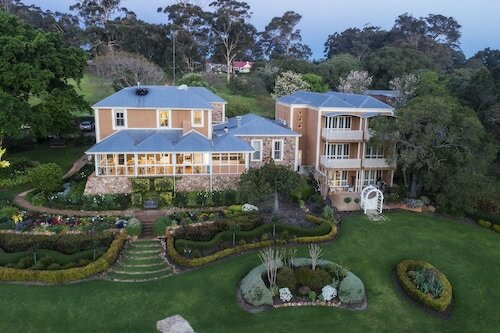 How Much is a Hotel Room in Margaret River? 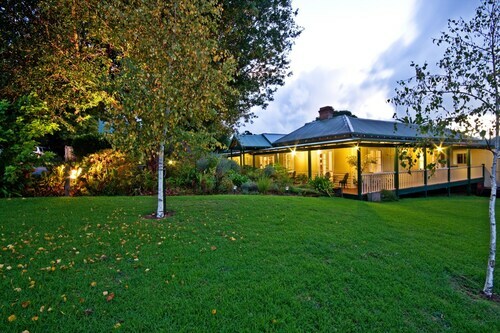 Hotels in Margaret River start at NZ$96 per night. Prices and availability subject to change. Additional terms may apply. Well sized rooms. Complete working kitchen appliances. A comfortable place to stay, lovely staff, good location.